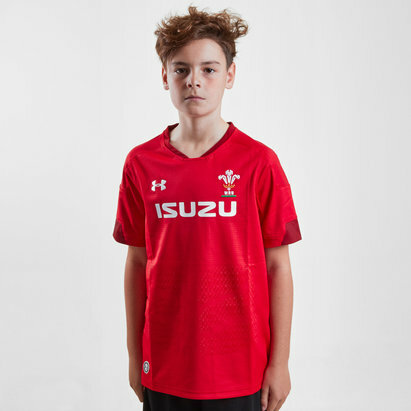 Celebrate this year's Grand Slam from the Welsh National Rugby Team by pulling on with pride this special Wales WRU 2019 Grand Slam Winners Kids Home Replica Rugby Shirt from Under Armour. 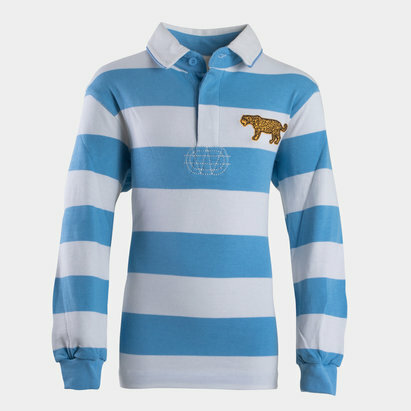 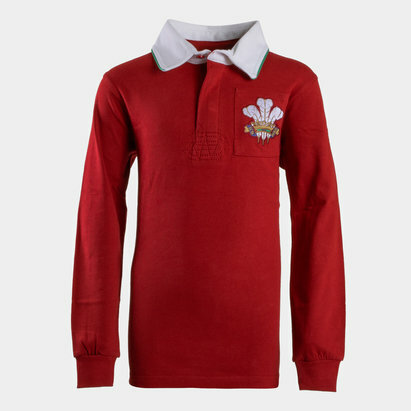 Stylish and modern in appearance this rugby shirt is a special one, proudly celebrating the very impressive Welsh Grand Slam the shirt proudly sees golden text underneath the Prince of Wales feathers saying 'Grand Slam Winners 2019'. 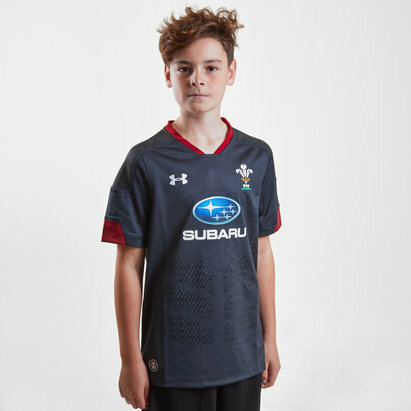 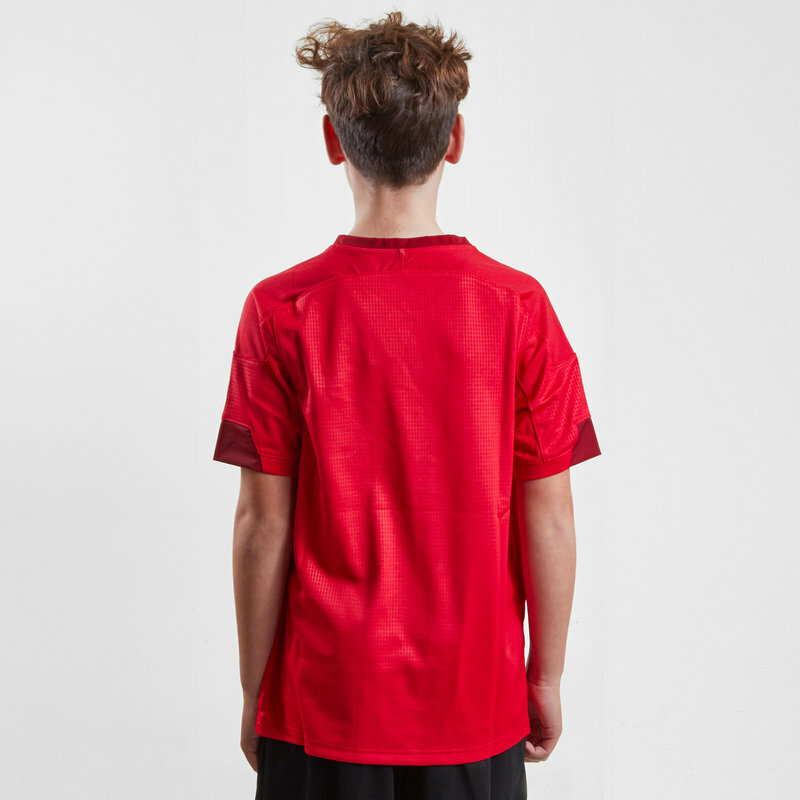 Made by Under Armour this official replica shirt is designed as the supporters version of the shirt the players wear on game day, utilising the majority of the same technology, this shirt features a slightly more relaxed fit which makes it perfect for when showing support from the sidelines or stand. The theme of this shirt isn't all that it seems, the red shirt features a sublimated design on the shoulders which depicts various places in Wales which gives the feeling that it has been woven with the fabric of Wales.